If you follow me on Instagram or Twitter, you know I skipped the snowstorm for Miami. I ran the Miami Half on Sunday (recap coming soon!) but I’m now back in the cold and slushy NYC weather. Even though the half-marathon was a few days ago, I’m still a bit sore and needing some yoga. 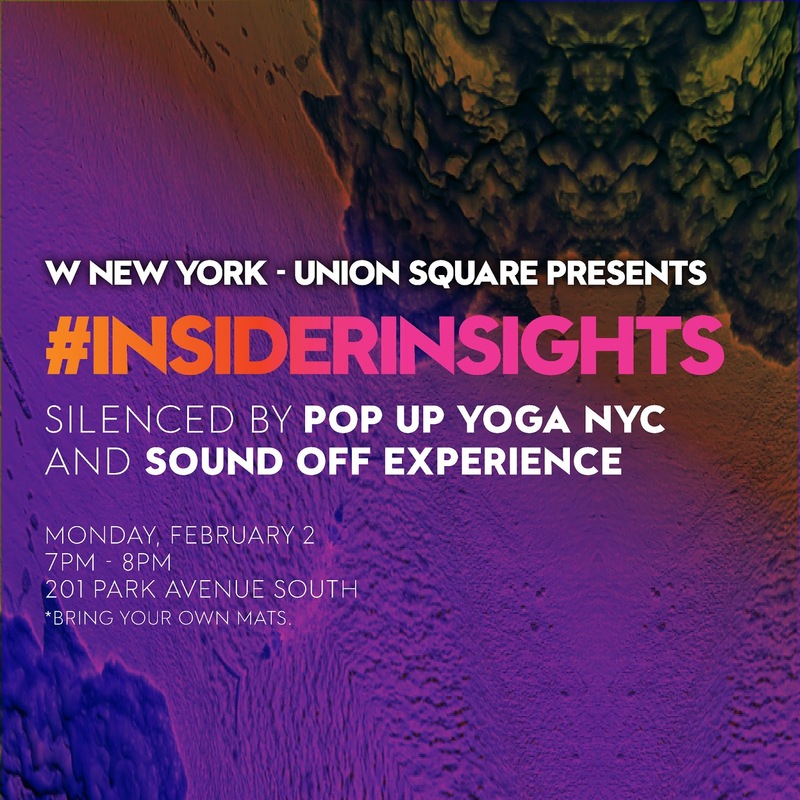 I’m super excited for #InsiderInsights at the W Hotel on Monday with Pop Up Yoga NYC and Sound Off. 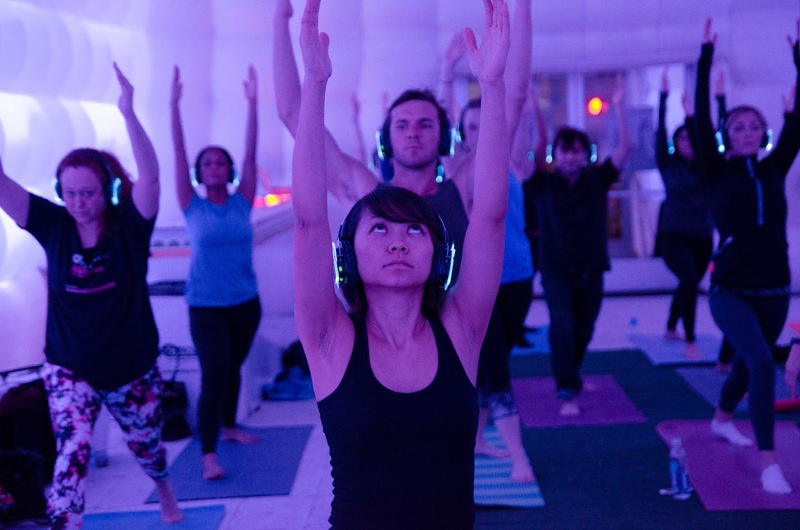 I definitely do not do enough yoga but this yoga event is super awesome since it’s with Sound Off, who hosts events with this amazing wireless headphone technology. Read more about it here. Join us as we attend a forgettable yoga event that broadcasts sounds from a Live DJ into Personal Sound Off Noise-Isolating headphones. part of W New York – Union Square’s new #INSIDERINSIGHTS event series. Silenced by Pop Up Yoga NYC and Sound Off Experiences. $35 per ticket | Hotel guests gain free entry. I have to say I absolutely loved going to this place the other night. The people that work there were trying to create an optimal dinner experience while making your choices their priority. I would definitely recommend this event space for any kind of fancy event. Fantastic Yoga Class ! I am addicted with yoga and this place is best fro yoga with sound off who hosts events with this amazing wireless headphone technology. Find Luxury Yoga Retreats NYC for healthy body mentally and physically.